tires are in great shape. Measures about 9" long. 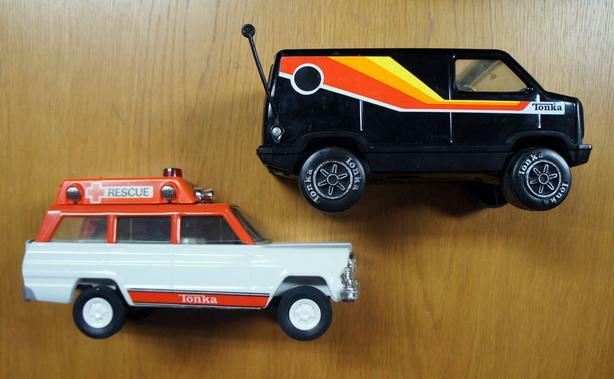 Vintage 1970s Tonka van has heavy resemblance to the classic A-TEAM vehicle. Rear door opens, and Sunroof opening allows you to put a Play People driver figure in the seat (none included). Nothing broken. There is some scratching and paint wear from play.